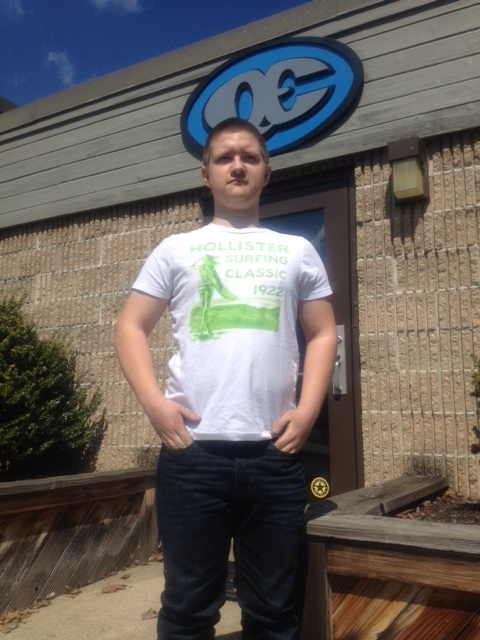 Precision Machining student Caleb Reedy standing tall at his co-op position at QE. An early morning photo of SUN Area Technical Institutes Precision Machining Program students(L-R), Austin Fry, Brett Hummel, SUN Tech Director Dennis Hain, and Ross Bruner. 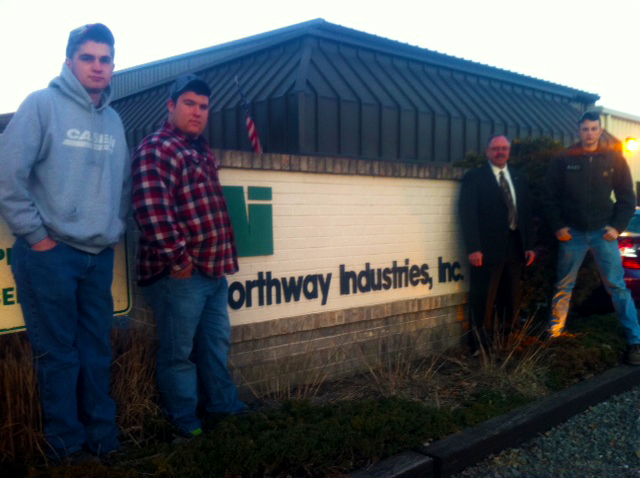 Northway Industries employs current Co-op Students and Alumni for their various operations at their Middleburg Plant. 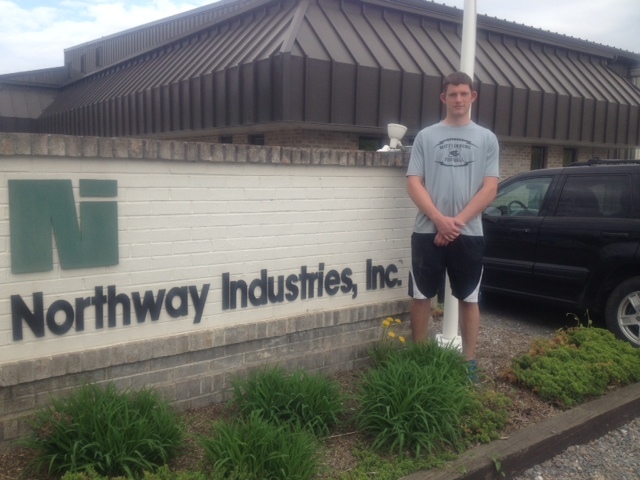 Northway Industries annually supports high achieving students at SUN Tech’s Awards Program. This mutual Partnership is an Award Winning Program for community members. A Local Success Story for ALL. The Precision Machining program is seeking donations for Toys for Tots from December 3 through the 19th. Help us make this Christmas special for children and parents in need by dropping off your donations at the main office or the Precision Machining program. We, Cody Rathfon and Dustin Baney, are both in the Advanced Precision Machining class at SUN Area Technical Institute in New Berlin, PA. Although our home school is Selinsgrove Area High School, the two of us decided that attending SUN Tech for Precision Machining would be a challenging way to finish high school. Taking this class will definitely bring many options and opportunities for us when we graduate from high school and look to attend college or to go into the workforce. We learn something new and are challenged every day. This class has a combination of working with machines and on computers. Although we are only half way through the year, this class has already taught us many valuable skills, and what will be expected of us from future employers. The best part about the Precision Machining program is that the majority of the work is hands on, which in many cases is far more valuable than sitting behind a desk all day. We have learned how to use lathes, milling machines, CNC machines, and the surface grinder, and many other valuable tasks involved with machining. We made many projects such as wheel pullers, shifter knobs, tools, and awards. We are also able to make parts for race cars, farming equipment or just about anything. We are able to design our own emblems and custom graphics on a computer program called Mastercam. Mastercam is a program that enables us to draw and design parts and images which we want to produce. We can then transfer the drawing onto the HAAS CNC machine which will put the design onto a real part. Our class, consisting of seven students, and a very involved teacher, Mr. Anselmo, recently collected Toys for Tots. This community service project helps to supply gifts for less fortunate children and give them a special Christmas. We are also involved in other activities such as Skills USA, which is an organization for students to compete against other students of the same trade. 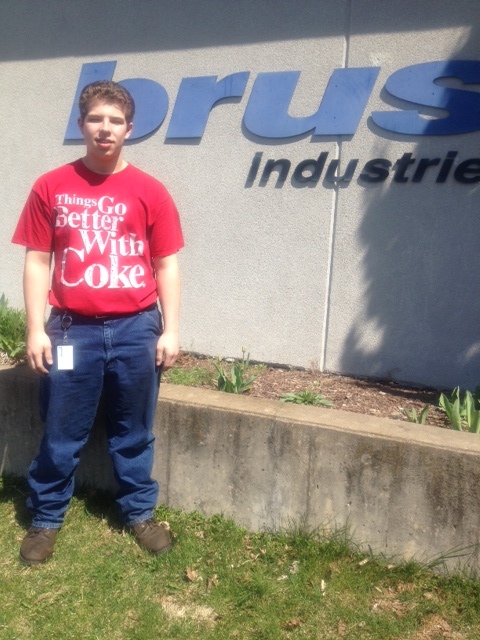 Advancing in Skills USA competition provides the opportunity to win both scholarship money and or prizes. This class, without a doubt has prepared us for future jobs as machinists, as well as tasks in everyday life. We both agree that we would enjoy work involving CNC machines and other up-to-date technology. We highly recommend this class and SUN Tech in general.